A mix of Green Crack x OG Kush, Flowerbomb Kush is an award-winning indica dominant hybrid with a lot to offer. She has a sweet, earthy flavoured smoke, inducing a knock-back body stone that slowly shifts in focus to an uplifting and sociable cerebral high. 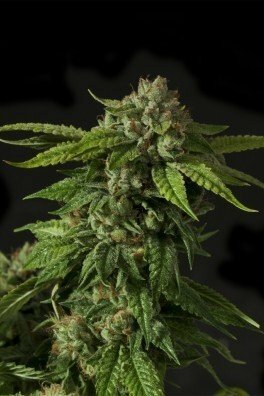 Flowerbomb Kush flowers in 8 weeks and can produce up to 800g/m² indoors, or 1000g per plant outdoors. 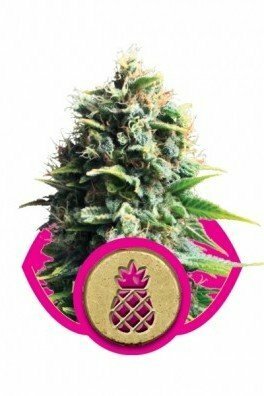 Flowerbomb Kush is a Green Crack / OG Kush hybrid full of sweet, earthy flavours that intertwine with hints of pine, citrus, and warmer, spicier undertones. 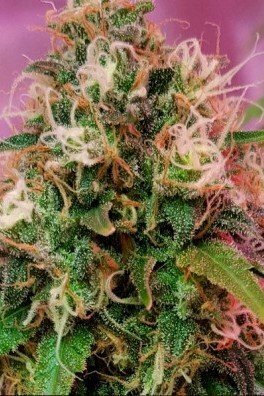 This strain has already won 2 High Times Cannabis Cup awards, 1st place in 2012 and 2nd place in 2013, when it was introduced by Green House Coffee Shop & Seed Company in Amsterdam. 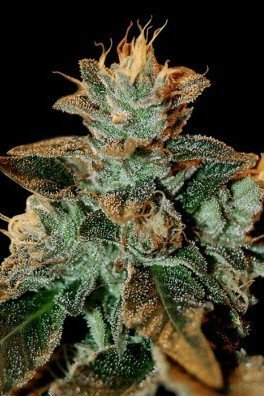 The buds are thick and dense, and once ground up the weed is very sticky, covered in crystals, and dark green in colour. Sounds delicious! The high hits fast and will last quite a while, definitely giving you a great bang for your buck. Flowerbomb Kush is 70 percent indica and 30 percent sativa, rendering the high more intricate. It'll typically start off as a relaxing body high, then after a while, an uplifting cerebral high creeps in, leaving you feeling conversational, giddy, and imaginative. Once the buzz begins to wear off, Flowerbomb Kush has a reputation for inducing some serious munchies. In addition to the wonderful high, Flowerbomb Kush also offers a heaping helping of medical benefits. Patients typically use this strain for mental health conditions such as depression, PTSD, anxiety, and ADD/ADHD. And due to the indica dominance in this strain, it's also known to alleviate muscle spasms, pain, and tension. 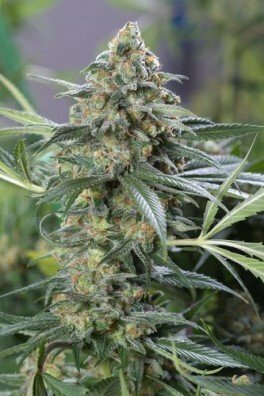 Flowerbomb Kush is medium sized in regards to cannabis botany, but it does grow taller than most indica plants, with long branches that extend far from the plant. The leaves are thick and overlapping, and mostly dark green with some lovely purple tones. The flowering time is pretty average for an indica; eight weeks, given that the growing conditions are optimal. Larger plants can produce over 1 kilogramme of buds. 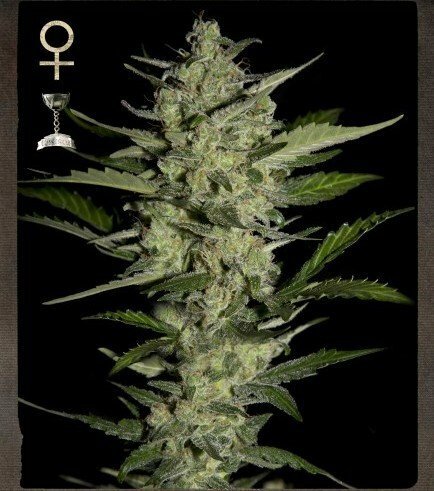 This is a photoperiodic, feminised cannabis strain that is extremely versatile and does well in both soil and hydroponic setups. However, it's said that using soil as the growing medium does wonders to improve the taste. It has a fairly high THC content, around 15-20%. The CBD content of Flowerbomb Kush has yet to be determined. It's a truly delectable, complex, and invigorating strain that everyone should have the privilege of experiencing.